After some early luck with matching the easier fabrics on the coat, I’m now gonna try and set myself a task each month of preparing one of the more difficult ones. This will keep the project moving forward. 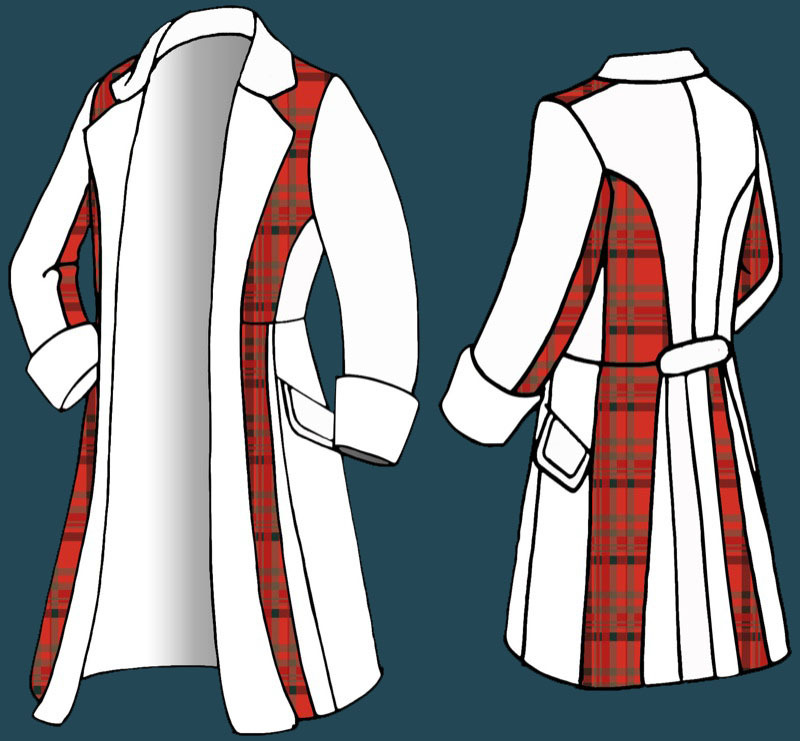 First up, the Red Tartan, fabric 1 on my Six Frock Coat Breakdown. Through centuries of Celtic tradition, different tartan patterns came to identify different districts and later specific clans. The more complex and colourful the tartan was, the more wealth or power was inferred in its owner. 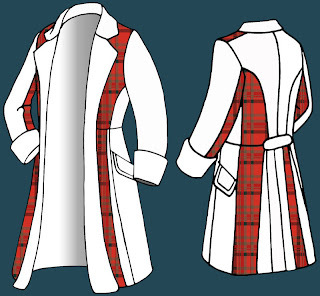 These days it has become more about Scottish heritage, with people seeking to identify their clan or family tartan as symbol of Scottish national identity. As a result a near endless resource of historic and contemporary designs has been documented and perpetuated to this day. 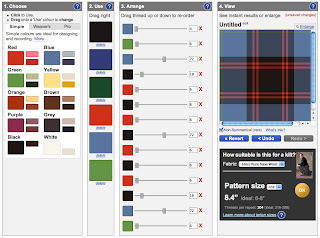 Being a tartan it should, in theory, be easy to track down, as the designs for these fabrics have been handed down from generation to generation. 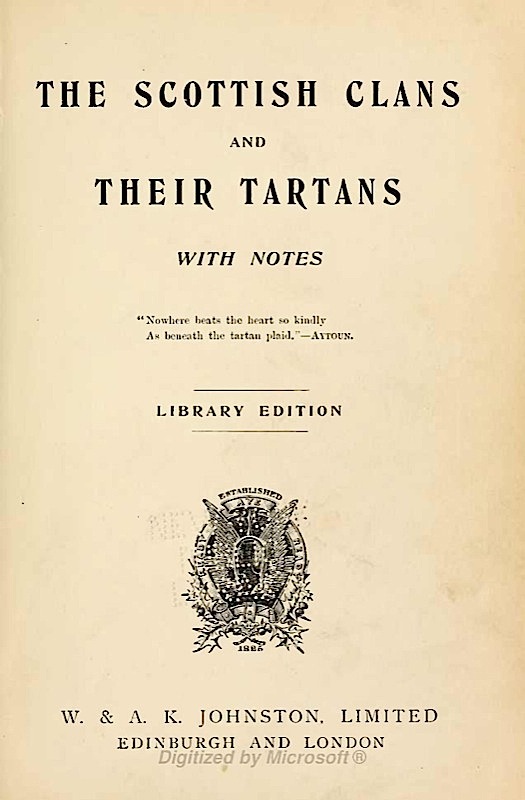 The book The Scottish Clans And Their Tartans (see left, also click the title to download a PDF of the book) documents a lot of the classic tartans. But having all tartans documented is something of a double edged sword, as once you start looking beyond the handful readily stocked by fabric shops, there are literally thousands of designs, all subtly different from each other, with brand new designs being added all the time. 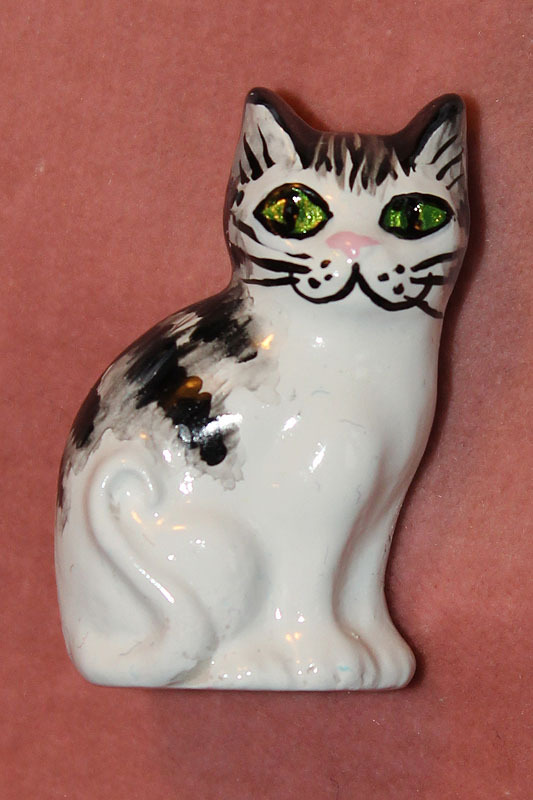 With the wonders of the modern world - namely the Internet - all this information is immediately to hand as there are a number of websites which can help identify the design. Some of these are very basic, others almost too helpful. The official site for the Tartan Authority offers a Tartan Ferret (see left). 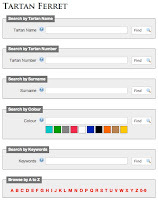 This allows you to give the colours used, from which it will display all those in their database that fit. 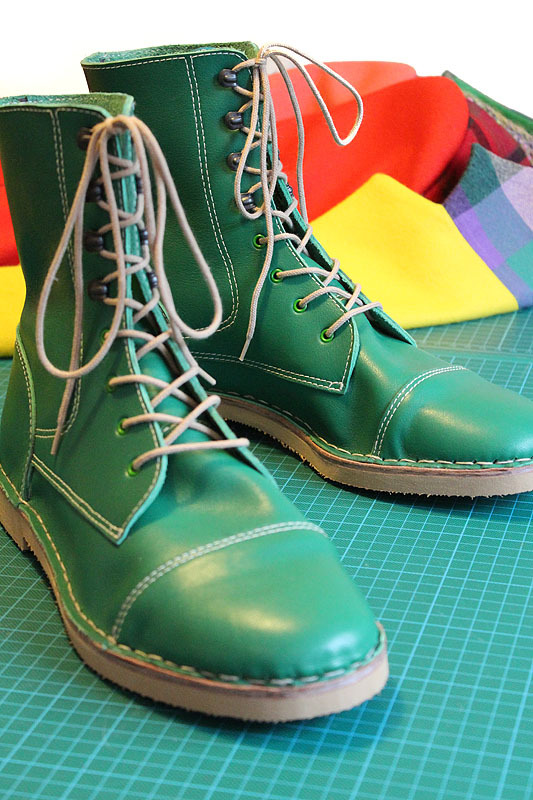 As a result you see tartans with red, black, yellow, white, green . . . . . Do I need to go on? Suffice to say none of these match the one I am seeking. Other sites take a different approach, assuming you know the name of the clan and that you just want to see what their tartan looks like. 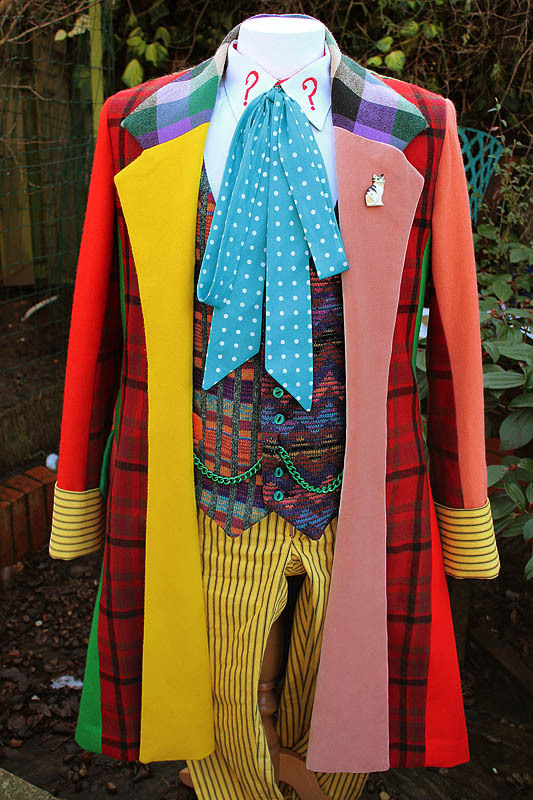 The Tartan Finder from House Of Tartan is a perfect example of this. You can simply click on each clan name to go though them - but again there are hundreds of options listed. 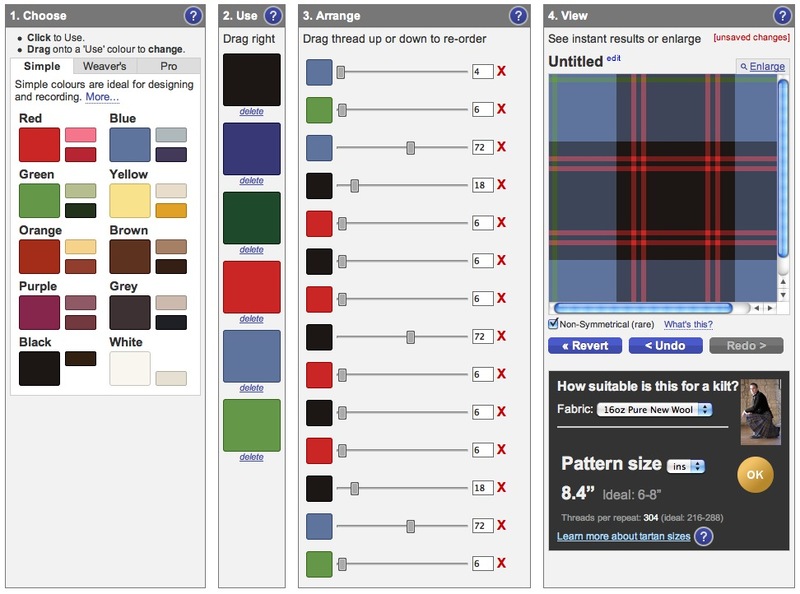 Alternatively, at the other end of the helpful spectrum, www.house-of-tartan.scotland.net will allow you to specify the exact sequence of the yarn used to weave the fabric. 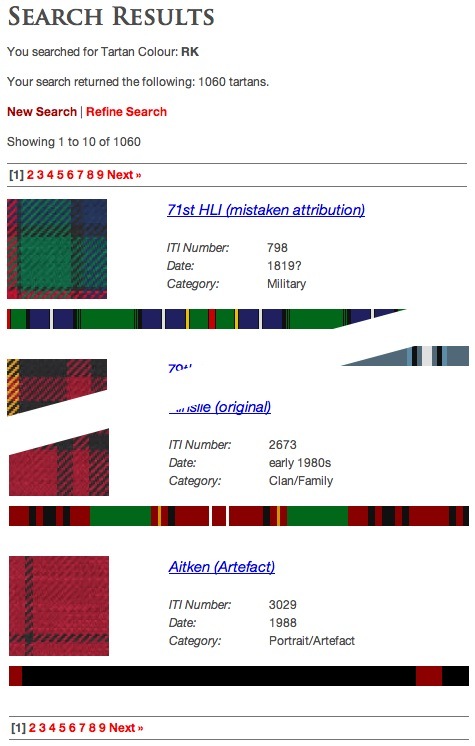 Through my searches, I found a number of tartans worked from just red and black (see left) but none of them were quite right. Time for a plan B I think. Failing to find a way to identify the name of the tartan used, I am going to go down a totally different route and simply work out the pattern and get it rewoven bespoke. I’ve found a cracking little tool for doing this on a website. 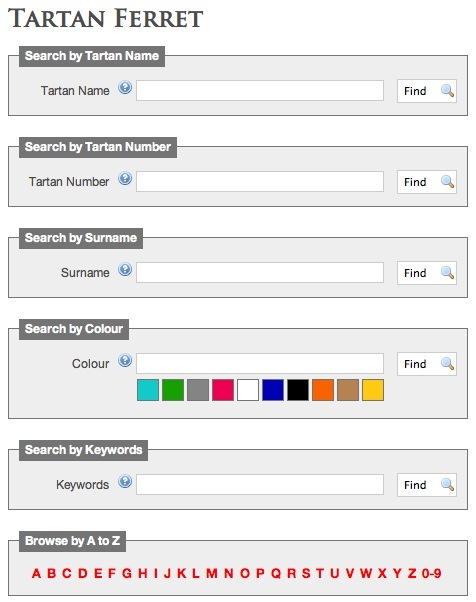 Scotweb It gives you a choice of colours to weave with, then you select their running order and thread frequency. You can work with up to six colours (see right), though I don’t need that many to build a pretty good match for what I need. From your selected palette of colours you can choose how many threads of each are used, and the order in which they run. Colours can be repeated as often as you like to build up your repeat, though there is a maximum area allowed. Once you are happy with the quick preview, you can then view a fully rendered CGI version which looks so good, you’d think they had quickly run off a metre of it for you to see! Below is a comparison between an image of the screen-used fabric (below, left); and the CGI render (below, right). Their prices for weaving are pretty extortionate, and they require a large minimum run, making them prohibitively expensive to use. However, I now have the ‘blueprints’ for the correct weave of the tartan, with the thread-count to recreate it. I can now take this information and find an alternative weavers who are willing to take on the job for a shorter run – and hopefully a less expensive price. Luckily I already have someone in mind . . . 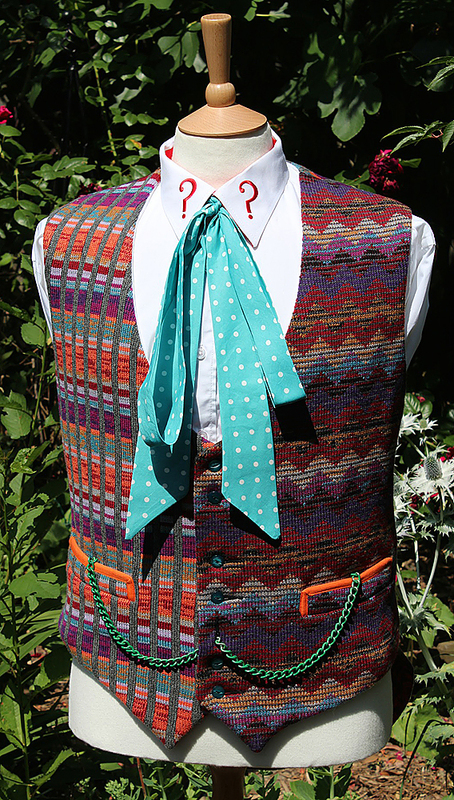 I actually found Scotweb or a similar website before and attempted to reproduce the pattern, but not knowing anything about the weave of fabrics, I quickly give up.